Dohn’s brand new Alumni Association had its first event Saturday, October 20, with our Alumni Breakfast at the Fitness Academy, 4100 Reading Road, Cincinnati, Ohio, 45229. This is also the location of our home basketball games. Our schedule of games is here. The alumni who attended our first breakfast are all accomplishing success in life; they are skillful adults with personal and professional fulfillment, and contributing to society. Their personal profiles are impressive! Dohn is so proud of them. We are, in truth, proud of every single graduate, no matter the path you find yourself right now. All Dohn Alumni have a home here. Whether you have been in prison, or find it hard to find employment, we want to hear from you. As a community, we are working on offering employment pipelines, for both current students, parents, and alumni. Dohn staff will soon be taking training to help current and former students, and parents, get felonies expunged. Any alumni who shows up at Dohn today will see a strong community of students working together. Our alumni are invited into this circle of community. 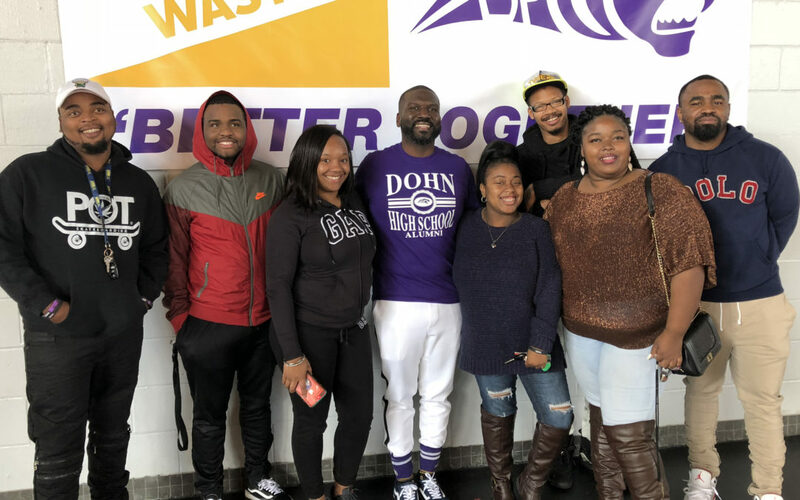 Dohn Pride, Panther Pride, extends to our Alumni Association and the celebrate of Dohn’s success, these past 19 years of success and challenge. Whatever your current situation, we welcome you. Please join us! Check out Dohn’s Alumni Association Page and Join!